There is a lot of talk these days about ‘experience’ and its role in design and business. Whether it is applied to user experience, customer experience, or even employee experience, there is a growing desire by brands to create remarkable customer interactions which are memorable and life-changing. Remember the “Welcome to the Experience” Economy? This topic of experience, however, is not a new one. As a formal idea, it was introduced almost twenty years ago. In 1998, B. Joseph Pine II and James H. Gilmore wrote a Harvard Business Review article called, “Welcome to the Experience Economy” which was followed by a book in 1999. The Commodities Economy was described as an agrarian-based economy in which traders farmed natural products and brought them to market. The cake consumer would purchase the raw ingredients and bake the cake from scratch. The cost to make this cake was at its cheapest. The Goods Economy was an industrial-based economy in which manufacturers made standardized products and made them available to users. The cake consumer would purchase these cake-mix products to bake the cake. The cost to bake the cake in the good economy is slightly higher. The Service Economy was a service-based economy in which providers delivered on-demand, customized services to their clients. The cake consumer would go to the local bakery to purchase a baked cake which they can personalize with a frosted greeting. The consumer trades cost for convenience. The Experience Economy is an experience-based economy in which stagers staged personal and sensational moments for their guests. Currently, we are in the Experiences Economy. The cake consumer is no longer satisfied with a commoditized product, or even service. They are willing to pay an exponentially higher price for a shared experience. Parents-turned-party-planners now choose Chuck E. Cheese or Disneyland to enjoy entertainment, community, and memories to enhance the birthday cake experience. An early pioneer of the experience economy was Walt Disney, a man before his time. While his early storytelling success was based on being a cartoonist and then as an animated film visionary, he soon grew wary of two-dimensional stories that could only be observed from a screen. The “Be Our Guest” anthem has become the cornerstone of Disney’s experience-based approach. They understand that every guest touchpoint must be as intentional as if it were a scene in a film. From the user experience of the website, the customer experience of ticket purchase, the parking of a car, the walk/ride to the gates, the walk down Main Street, the interaction with the characters, the first view of the castle…I think you get the picture. Every interaction is strategic, designed and layered with back story. In fact, Disney story and experience-driven legacy inspired and informed the development of our ideology and methodology at Visioneering Studios to create stories through spaces. Our principals, current and past, were trained at The Walt Disney Company, Walt Disney Imagineering, and AECOM, a significant Disney consultant. People are willing to pay for experiences because they offer a benefit and stimulation to consumers. People also base the value of experiences on their ability to cause them to tell stories about them. Lastly, people like experiences because they put the individual consumer, the “Me,” the I,” at the center of the attention. It’s like pulling up a chair at a table and being served a feast. But the consumption aspect of experience is part of the problem. This is the dark side of experiences — even experiences can become commoditized. Most experiences are remarkable, but only for the space of time in which they are being experienced. When an experience is consumer-based, it’s based on consumption. You are no longer impacted when you are no longer consuming it. It’s like food with empty calories — you know that Snickers Bar that is delicious in the moment, but fleeting in its impact. Even Pine and Gilmore predicted that the next era would be the Transformation Economy, in which the “Yodas” of the world will guide aspirants through experiences which result in sustained change in their lives. People are willing to pay for experiences that have the potential to change the way people live, work, and play. In fact, there is evidence that this transition is already happening in culture. Through the advances made by technology, it is widely acknowledged that we are more globally connected, yet more locally disconnected. People are looking for deeper reasons to connect. Angie Thurston and Casper ter Kuile of the Harvard Divinity School released a study called “How We Gather.” In it, the researchers were interested in understanding why Millennials specifically are moving away from church attendance. The research uncovered six themes emerge: the desire for community, personal transformation, social transformation, purpose-finding, creativity, and accountability. The argument is made that the Church is not providing strong enough alternatives in these areas of life, so they are in search of other communities which do provide this. One of the ten case studies cited as emerging communities is Crossfit. In fact, there is this growing idea of ‘Crossfit as Church.’ Crossfit provides a sense of community where the “Me” of the Experience Economy transitions to the “We” of the Transformation Economy. In addition to community, Crossfit is a place to undergo personal transformation and accountability. It is very common for a ‘cross-fitter’ to be called to explain why they missed a workout. With this in mind, we are proposing a transformation-experience approach. How can we re-imagine the future of spaces in which we gather — where we live, work, and play? This is the future. We believe that experience should Transformative – Truly transformative experiences leave the person forever changed by them. Going from an experience to an encounter. The challenge becomes… how can we create spaces which elicit emotional, holistic, and transformative experiences? In future writings, we will explore how space can facilitate transformative experiences. There is nothing more powerful in the human experience than the connection between two people; a mutual appreciation and sharing of personal stories. This is empathy. To be empathetic is to understand what causes someone to laugh or to cry, or what incites them to dream or to give up. This ability is not always innate while some are better at it than others. It requires an intentional effort and can be the product of experience. In the world of design, there is a principle called design-thinking which has been made famous by the innovation consultancy, IDEO. It is a human-centered approach to problem solving which empowers individuals and organizations to become more creative and innovative. It begins with empathy, but is further carried out with acts of defining, ideating, prototyping, and testing in a continuously looped process. Empathy itself begins by understanding someone’s story. About five years ago, I recall being moved by this video, ‘Every Life Has a Story’ produced by Chick-fil-A, a national restaurant chain. It was filmed as an internal training tool to teach their employees about customer empathy and how this helps to create great customer experiences. They say that “Everyone Has a Story…If We Bother to Read It” is a pretty powerful statement. It eliminates assumptions, it erases pre-conceived ideas about customers and the reasons for their behavior. Three years later, the current CEO of IDEO, Tim Brown, wrote a blog post in which he shared this video produced by the Cleveland Clinic expressing the same idea of empathy and the human connection. At Visioneering Studios, we employ the same approach, although our language may be different. Our simplified approach includes envision, design, and build. As part of the envision phase, we begin with a ‘blank canvas’ mindset so we don’t carry with us the baggage of pre-conceived notions or solutions. We believe that as the process unfolds, the product will emerge. Visioneering Studios is a story-driven firm. Much of this comes from the training camp known as Walt Disney Imagineering, the design and development division of the of The Walt Disney Company. Several of our principals spent years working as, or working for, Imagineers. We believe that every design begins with the story of our clients. We assume the posture of cultural anthropologists to first inquire, listen, observe, and experience their lives so that we may create in response. For example, some of our clients are churches who ask us to come alongside them to help them envision the future expression and capacities in their physcial environments. We begin by drafting tailored questionnaires which are very comprehensive. After we review their responses, we meet with their leadership team onsite for what we call a ‘recon (reconnaissance) day’ in which, we take their responses and go deeper with a form of active listening. After processing this information, we then schedule and conduct a ‘Bluesky’ workshop in which we are embedded, onsite, with the client over a period of five straight days. For a church client, we attend their worship services and experience what a first time guest (user) might encounter. What do they see when they approach the site entrance? How are they directed to a parking space? How easy is the walk from the parking lot to the entrance? How are they greeted? Is the way finding signage helpful or confusing? In the software world, this would be called user experience, or UX . How is the guest going to experience the physical environment? This entire experience must be designed or curated in an intentional manner. People: What is unique about the people on your team and in your community? Is there a cultural or value system that has developed into the organizational DNA? Additionally, what is unique about the people (users) that use your product (facilities) or services (spiritual development)? What are the demographic and psychographic profiles of both the people that are already your guests (users) compared to the profiles of the people within your target community (market)? What is your market penetration? For a church, it may be odd to use these business or UX terms, but they are directly applicable. Place: What is unique about your specific place (i.e. site, neighborhood, city, or region)? We focus a great deal on place-making in our practice, which extracts and incorporates the social, cultural, economic, political and historical context of a particular community. Rather than looking at the design challenge from the ‘four walls in’, or architectural perspective, we look at it from the ‘property lines out’, an urban planning focus. What does this mean particularly for our client? For a church, the questions might be whether this is an urban, suburban, or rural environment. Are there industries that are moving into the region? Are there trends indicating shifts in the makeup of the area over the next 5-10 years? What are the cultural, entertainment, or educational assets in the community and how can we compliment them? Passions: In order for any company or organization to thrive, there has to be some unique value proposition or distinction that separates it from others. What are the values, social causes, products, or services that you feel your organization is best suited to deliver like no other? We tend to refer to this as an ‘organizational calling’ or a ‘brand promise’. To say that a church should be focused on the spiritual development of its users is too vague. For some, the focus may be elder care by partnering with an assisted living facility, if not developing on their own. For others, it may be job training and creation by creating a coffee shop which trains ‘hard to hire’ individuals. Yet, others may have a unique passion for special needs children. Every organization has unique passions that do not always reveal themselves from the top leadership, but they bubble up organically from the bottom. When design is initiated and informed by an empathetic, or a human-centered, approach, the product will always be informed by the process. While I was in architecture school, I first learned to draft manually (Yeah, I’m that old). It was invaluable training though, as we were told to never begin a design exercise with a pre-conception, or an idea, of what the end product would look like. To pre-conceive is to defraud the end user of a better solution. The process informs the product. In fact, we say that our process is the product. It all starts with empathy. It starts with stories. I’ve got to admit…I’m a podcast junkie. I especially crave for those, which intersect the worlds of design, architecture, and urbanism. I know…I’m a real urbanerd. My addiction is so bad that so much of my data plan is consumed by downloading podcasts…regrettably, and most likely, while I’m untethered from a Wi-Fi connection. I go on digital binges while I’m on my walks, bike rides, or especially, while I’m commuting to/from work. It’s a real problem, but I succumb to them thinking that one day…one day I will have use for all of these great stories. So, what are my podcasts of choice? Well, let me give you a peek behind the curtains of my ether world, my podcast library. This is one of my worst podcast addictions, rather, my absolute favorites. 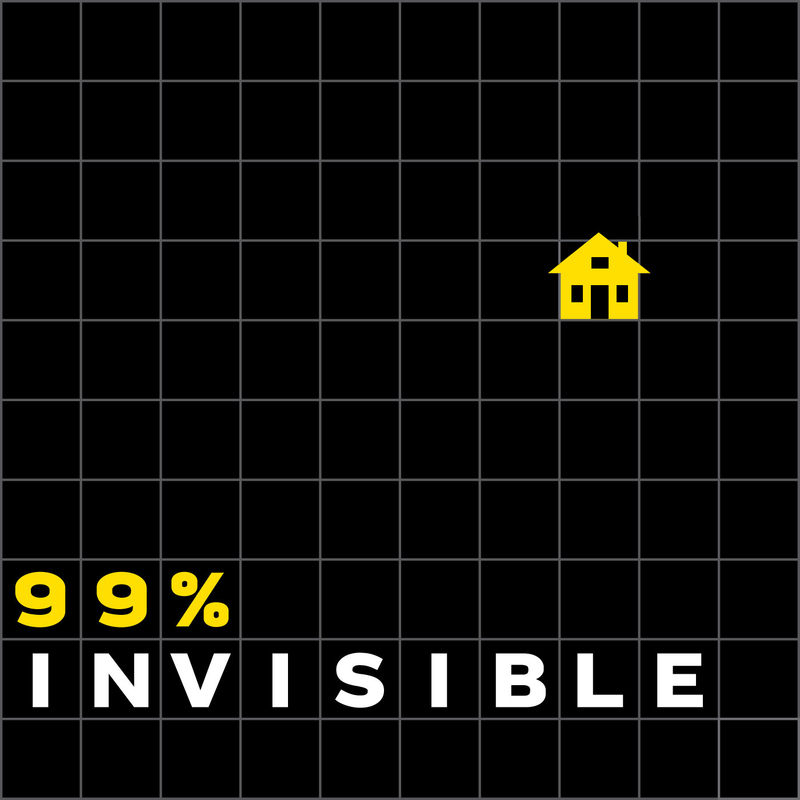 When I discovered 99% Invisible, it was a monthly podcast, which was great, but that’s a long time in between shows. Then, in 2013, it successfully completed a $375,000 Kickstarter campaign to launch into a weekly format. Nice! So, when every Tuesday rolls around, you bet your life I’ve got my ear bud IV injecting digital goodness into my ears! She graciously thanked me for my “kind words” and informed me that Design Matters was produced in seasons and that the new season would commence in October. October? Are you kidding me? What was I going to do until October? Well, it’s October now. It’s all good! Debbie Millman is the President and Chief Marketing Officer of Sterling Brands, a leading brand consultancy. She also serves as the Chair and Founder of the Masters Program in Branding at the School of Visual Arts in NYC. In 2005, she started a radio show in which she interviewed her design heroes as a way to learn anything about and from them. Design Matters was the first podcast on design on the Internet, ever. Part of the Design Observer media channel, it has produced over 200 interviews with artists, designers, architects, and though leaders. If you love design and want to learn from the greats, this show is a requirement for your weekly fix. 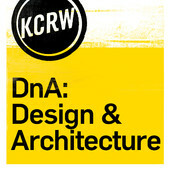 DnA: Design & Architecture is a “multi-platform exploration of who and what matters in our designed world – on radio, podcast, blog and at public events.” Hosted and Executive Produced by Frances Anderton, a frequent speaker and writer on architecture and design, this podcast focuses its discussion on the Los Angeles region. It is a show of KCRW, a public radio station based out of Santa Monica, CA. Here’s my only problem with this show – it doesn’t have a reliable release calendar. It’s like a girl who is told by her new beau that he will call, but never tells her when. That’s kind of the way I feel about this show. I will probably refresh my podcast feed later today to see if there is anything waiting for me. 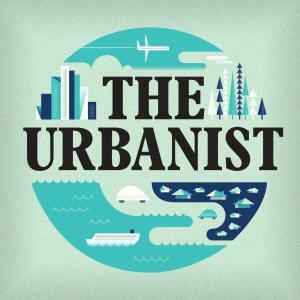 My good friend and fellow urbanerd, Sean Benesh, introduced me to The Urbanist. Produced by Monacle 24, and hosted by Andrew Tuck, this show is about “the people making city life better, from dedicated mayors to hi-tech businesses.” Produced as a very high-quality audio magazine by producers from around the globe, it really brings to the forefront the conversations urbanists are having at both a local and global context. So, there you have it, my podcast of choice. Check them out, the first one is always free, I promise. Let me know what you think. In fact, if you love podcast as well, comment below and share your favorite shows. Yesterday, I had the wonderful opportunity to experience a magical place. This encounter taught me a powerful lesson about the power of ‘story’ to enhance experiences and to transform mere spaces into memorable places. This place was Room 10. Yesterday was the first day of elementary school for our two sons, Ethan and Brendan. Just as with other families across the country and throughout history, weeks of school shopping and anticipation had led up to this big day, the first day of school. To divide and conquer the morning, my wife, Michele, and I each took a child to find their classrooms. Ethan and I found his class lined up next to their modular classroom. He did not recognize any of the other students in his class, but evidently, this was a high-achieving bunch of kids who had already spent a couple of years together. There was some apprehension, but he soon filed into his new third-grade classroom with a couple of smiles and waves. Other than that, it wasn’t all that dramatic of a send off. But, Brendan’s first grade class was a very different story. Michele took Brendan to go locate his first-grade classmates on the other side of the playground. The students lined up, two by two, where their legendary teacher, Mrs. Schack, was positioned on the playground. She asked the parents to stick around and join the children as they entered in the classroom. I made one immediate observation; there were twice as many girls as boys. That probably didn’t mean anything, but I filed that little factoid for later consideration. Led by their new teacher, the children marched across the asphalt playground, through the grassy courtyard, under the porch-covered walkway, and into the100-year hallway. The hallway was packed and the air was hot. Our little caravan found its way to a doorway just outside a room with a sign that read, “Room 10”. There, Mrs. Schack asked everyone to pause as she prepared to address the expectant crowd. As Mrs. Schack began to speak, she did so without raising her voice nor did she speak in that falsetto voice that some adults use when speaking to children. Her tone and volume spoke of respect for herself and for her audience. She began by expressing joy for the start of a new year with a new group of students. She made a very bold promise; she proclaimed that the children were about to have one of the very best years of their lives; it would be magical. She then instructed the children to separate into two lines up against the opposite hall walls when she spoke the word ‘marshmallow’. She would then call out the names of each child; their respective parents would file through the colonnade of children, join hands with their child, and enter the doorway into the magical world of Room 10. To make this moment even more magical, she had a special pop-up doorway constructed just inside the actual doorway. It was more than a beautifully decorated prop painted in a Narnia-fashion; it was a portal into another world. Mrs. Schaack quietly yet dramatically uttered the word, “Marshallow”, and the children parted into two waves like the Red Sea. When Brendan’s name was called, Michele and I joined hands, walked through the mini-human colonnade to find our little guy expecting us with the most heart-melting smile. We joined hands and walked through the magical doorway into Room 10. As we all entered, the parents lined up against the walls of the classroom while each child identified the desk with their names written in giant letters. No more kindergarten group tables, they had their own desks! This is an epic paradigm shift, believe me! As the last family entered the room, Mrs. Schack entered the classroom proudly. She reiterated her “one of the best years of your life” promise. She affirmed the children’s intellect and capacity by declaring that they would henceforth be referred to as “scholars” as opposed to students. I swear I saw some little shoulders pull back and chests push out proudly. That’s what I’m talking about, go big or go home! She continued by praising the presence of the parents and family members. She informed the children that they were valued by this community of adults who were now part of what she called the “family of love”; all invested in the welfare and future of this village of children. I can tell you how much I appreciated how she curated this first-day experience. It told a story of what the young scholars should expect for the rest of the year. I began to think about the power of story in creating a memorable experience and create a sense of place. I call this spatial storytelling. I realized that this grade-school experience in Room 10 could be replicated in other realms of life whether you are a schoolteacher, an architect, a business owner, a filmmaker, a church preacher, or a community stakeholder. How could we tell stories to create this sense of place? Passion: Great spaces are brought to life when they evoke emotion. Great stories do that. They present a picture of a desired destination or outcome and give a reason why people should care about it. Mrs. Schack saw herself as a guide into a world of wonder, a steward of young minds; to her, it’s a cause and a sense of calling. What can your space, your business, your community do to tell your story? People: Mrs. Schack understood that the heroes of this story were her new young scholars, but she also included the parents as part of this ‘family of love’. Schoolhouses are beautiful, hallways are great, classrooms are wonderful, but without this wonderful cast of heroes, there is no story. Who is the hero of your community, your business, or your church? Listen to them; they will help you write the best story. Place: As I look back to my school days, I have both fond memories. I remember the historic brick schoolhouse of Washington Elementary in Holland, MI and Mid-Century school of White Hills Elementary in East Lansing, MI. However, I don’t remember them though as bricks and mortar or post and beams, I think of them as the places where I grew up, where I made friends, and where I began to form my identity. That is what ‘place’ gives you. Place is about memories, people interacting with people, and people interacting with spaces. What can you do craft that sense and story of place in your work? So, let’s be intentional with our spaces. Let’s leave our audiences with a story, a sense of expectation, destination, affirmation, community, and place. We all have a Room 10 in our lives. What’s yours? In the days leading up to the trip, I searched the Internet for stories relating to the past work of Visioneering Studios. For some reason, my search led me to a video posted by David Docusen, the Lead Pastor of Center City Church, which is situated in the Uptown neighborhood of Charlotte. His story immediately wooed my curiosity. One, he lived in and pastored in Charlotte, the city I was about to visit. Two, he planned to bring an Ebenezer’s Coffee to the site of an abandoned firehouse in Uptown Charlotte. Third, as a pastor, he had a passionate vision for a facility, not necessarily a church building, that would be an asset to the whole city: spiritually, economically, and communally. Even without having ever met him, his vision led me to believe that there was a kinship to be developed between us. I was captivated so much that I decided to reach out to him to see if there was a chance we could meet during my trip to Charlotte. I found him on Twitter and tweeted my interest in meeting with him to learn about what God was doing with Center City Church and Ebenezer’s Coffeehouse. I had no expectations, no allusions, just a deep and nagging curiosity; kind of like when Alice chased that rabbit down the hole. Shortly thereafter, I received a tweet back from Docusen agreeing to meet at a local coffee house the next week. I was relieved. My fear of coming off as a weird Twitter troll appeared to be unmerited. The light at the end of that rabbit hole was coming into focus. After arriving in Charlotte, I began a full week of training. During the first day, someone mentioned that the former mayor of Charlotte, Patrick Cannon, had been arrested on charges of corruption. I am not sure how the story came up in conversation; it just did. I quickly filed that bit of information in the “Useless” folder. His response was a wide-eyed and declarative. He quickly explained that the coffeehouse project had not gone through. Oh, man. What was this rabbit getting me into? When I got back to my hotel room, I did a little more research. I learned that the Center City Church had the firehouse property under contract. Escrow was due to close on November 20, 2013. According to a blog post written by Docusen five days thereafter, that day came and went. No closing. No explanation. This confirmed it. The dream of bringing Ebenezer’s Coffee to Charlotte was dead. Alrighty, then. How in the world was I going to approach this subject in our coffee meet up the next day? This HAD to be a pretty touchy subject for Docusen. You think?! I had an idea, though. I would just avoid the topic of Ebenezer’s all together. The next evening, Docusen and I met at the Central Coffee Co. He apologized for being a tad late because he had just finished a conference call with one of his members who was preparing to launch as a missionary. Good alibi? Check! Docusen, by all appearances, was a young, unassuming guy. He wore a backwards Detroit Tigers cap, an Orlando Magic t-shirt, shorts, and flip-flops. Not your typical pastor, so I liked him already. Remember…we were destined to be kindred spirits. I learned that he and wife, Dara, have four kids, three boys and one girl. He was born in Michigan where I was raised (Go Tigers), and then moved to Orlando when he was eight years old. Upon graduation from Southeastern University in Lakeland, FL, he began his ministry as a youth pastor for a mega-church. Lots of students. Big church. Big budget. Not a bad way to cut your ministry teeth. Later, he and his family answered the call to help a friend plant a church on the north side of Charlotte. There, he learned a lot, too: things to do again, things never to do again. Within eighteen months, he felt the call to plant a different kind of church in a different neighborhood, Uptown Charlotte. This would be a church at the center of the city: Center City Church. You have to understand, Docusen is a bold visionary with a type-A personality. He was raised in very entrepreneurial family, so his affinity to dream big is part of his DNA. This couldn’t be more evident in his pastorate with Center City Church. First, he had always told his church that they would never build a church building that only served the church one day a week. When they would build, it would serve as a hub for the community: one that would not only bring spiritual renewal, but one that would also contribute to the economic and community welfare of the city every day of the week. He was inspired by the vision of Mark Batterson, pastor of National Community Church in Washington, DC. About 8 years ago, Batterson’s church came across an old building, which he envisioned as the location of a coffee house that would double up as meeting space, a concert venue, and the location for his church to meet. This was the original Ebenezer’s Coffeehouse. Docusen struck up a friendship with Batterson and began to see how this vision coincided with his vision for Uptown Charlotte. Thus, the dream for Ebenezer’s Coffeehouse, Charlotte was born. The dreaming was the easy part though. Making it happen was like chasing rabbits. Almost everyone Docusen cast the vision to was immediately on board. Over the next several years, he found five potential sites for Ebenezer’s. They were all old urban buildings that were begging for a design intervention. Mysteriously, and disheartenedly, they all fell through. The most recent site was the most promising. It was the historic Fire Station No. 4 located at 420 W. 5th St. As people begin to hear about the vision, they wanted to help. An architect brought life to the vision; a 2,000 sf coffeehouse on the first floor, a 300-seat multi-use venue on the second floor, and a roof top terrace overlooking the city on the third floor. A secular investor, while he did not share the spiritual beliefs of Docusen, was moved by the vision to the point of agreeing to donate the nearly $1 million required to purchase the building. Others pledged $2 million to build out the project. But, as Docusen explained, November 20, 2013 came and went, and with it the dream of Ebenezer’s Coffeehouse. Then, why did Docusen take my request to meet almost ten months later? That was a question that both his assistant and his wife posed to him. He himself didn’t know the answer to that question; he just did. Maybe he saw that same rabbit I did. As we talked, it was evident to the both of us, what while Docusen’s dream of Ebenezer’s Coffeehouse died on that November day, God’s plan for Ebenezer’s Coffeehouse was still alive. It was a classic example of the birth, death, and re-birth of dreams that we see so vividly modeled in biblical stories. Our dreams are not always God’s dreams. We have to check our motives for our dreams. They may smell more like us than they do God. It’s important to place all of our dreams at the altar of God. That’s not to say that they are not derived from God’s inspiration, but doing the right things for the wrong reason is iniquity. The death of a dream is sometimes more about a death of self. When a dream hurts so much when it dies, that’s probably a sign that it means too much to us. Dreams themselves can become idols. Sometimes God will take us through a process of grief to clear the way for redemption. Dreams are to be held loosely. In architecture school, they teach us never to begin with the end mind. In other words, never pre-determine what the design will look like; you forfeit its creative potential. The same thing goes for dreams. God gives us glimpses of what is possible, but we must be flexible to course correct as He reveals more of His Master-Plan. Sometimes our dreams are too small. So, whether you are a risk-taking business owner, a visionary pastor, or an idealistic parent, don’t be discouraged when your dreams take a dive into a grave. If you’re flexible to His process, you will know that He is working out His plan for your life. So, while you wait on God, keep on dreaming. In fact, keep on dreaming bigger, and…don’t be afraid to chase rabbits down holes. Almost always, they will lead you into God’s land of wonder. It’s a pretty cool place to explore. Photo Credit: A window display from Fortnum and Mason in London depicts Alice and the rabbit. Other photos by David Docusen. What do you do when you live where you don’t want to live? Let’s frame this question with a story; the story of a Jewish people taken captive thousands of years ago. In the sixth century B.C., the kingdom of Judah was overthrown by the Babylonian Empire. These Jewish citizens were exiled to the city of Babylon, a place foreign in language, customs, and religion. This was the last city in which the Hebrews would ever hope to live. The story describes how God sent a prophet named Jeremiah with an odd message. You’d think it would be a message laced with promises of liberation, but instead, it was a word of concession. So, I ask again, what do you do when you live where you don’t want to live? There is a reason you live in your city. You may live in suburbia yet prefer urbania. You may choose to tolerate its weather, its geography, its people, or its lack of culture and entertainment. If that’s the case, then here are six things we can learn from Jeremiah’s message. Build. Whenever I go and visit my mother, she says, “Take off your shoes, stay for a while.” To buy or build a home means you are planning to stay. It represents a commitment to the city and an investment in its future. Plant. The hard work required to plant a garden indicates an appreciation for laying down roots and planning for the long-term. You may have eyes for another city, but while you’re here, enjoy the fruit of your labor. Marry. You don’t start a life-long relationship unless you decide its time to settle down. The importance of marriage and family is paramount. To change a country, you must change it’s cities. To change cities, you must change its communities. To change communities, you must change families. Multiply. When you decide to start a family, you are making a conscious decision to live for someone else; a life of selflessness. When you begin to have children, your care-free lifestyle is over. Some are not willing to make this sacrifice; they either delay having children, or they have children but fail to be parents. Work. Work is not always easy. Anything worth-while will cost you time and effort. However, after the “planting and harvesting” seasons, you are able to reap the fruit of your labor. The great thing about work though, is that you are not the only one who benefits. When people work, it affects families, communities, cities, states, and nations. Pray. You may not like where you live, but understand this, when your city is blessed, you are blessed. So, pray for it. You have been called to your city. Your future may take you to another city, but until then, live in it, love it, and pray for it. This post was first published on UrbaSmyth.